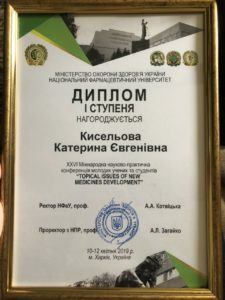 17.04.2019 the all – ukrainian scientific – practical conference «Innovative technologies of learning of foreign language of applicants for the higher education in non-language educational institutions» will take place in the department of foreign languages of NPhaU (city Kharkiv). The aim of the conference : exchange of experience of teaching of foreign languages in the institutions of the higher education in modern, educational, psychological and cultural environment. Languages of the conference : english, ukrainian, russian, german, french. 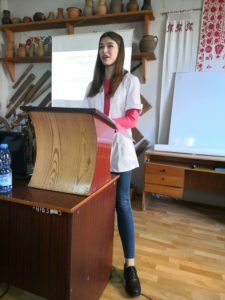 Lecturer Latunova N. V. prepared students of speciality “Pharmacy” ІІІ – rd year of study, І- st group Кisiljova Каterina with a report on the “Planery meeting”. She was awarded with “Diploma of І – st degree” and Borotuk Elizabeth on “Poster meeting”. 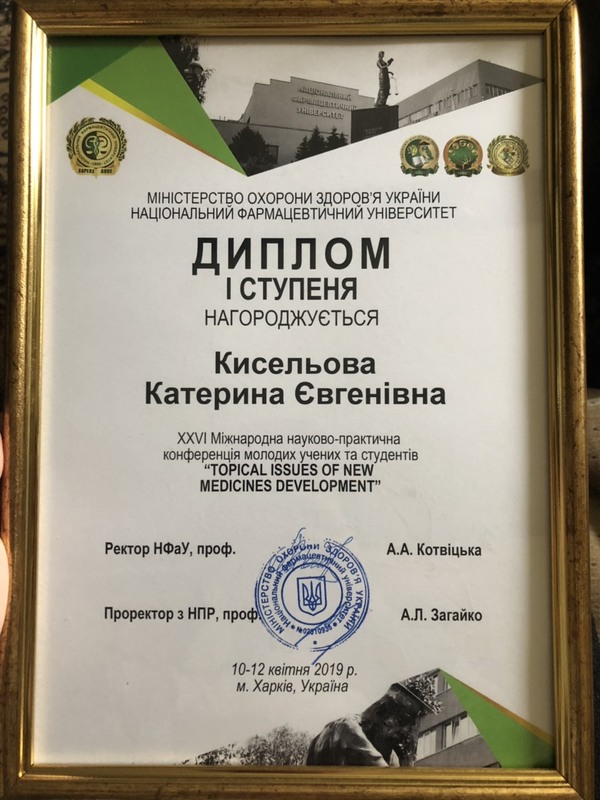 She was awarded with “Certificate” for active participation in XXVI International scientific – practical conference of young scientists and students “Topical issues of new Medicines development” which took place on the tenth of April 2019. Associate professor Chemodanova М. F. prepared students of speciality “Pharmacy” of ІІ- nd year of study, 5 – th group Кіm Мeggy, Darja Belucha and Ann Gutsul with reports on “Poster meeting”. 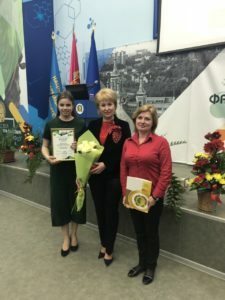 Кіm Мeggy and Darja Belucha were awarded with “Diploma of ІІІ – rd degree” and Ann Gutsul was awarded with “Certificate”. 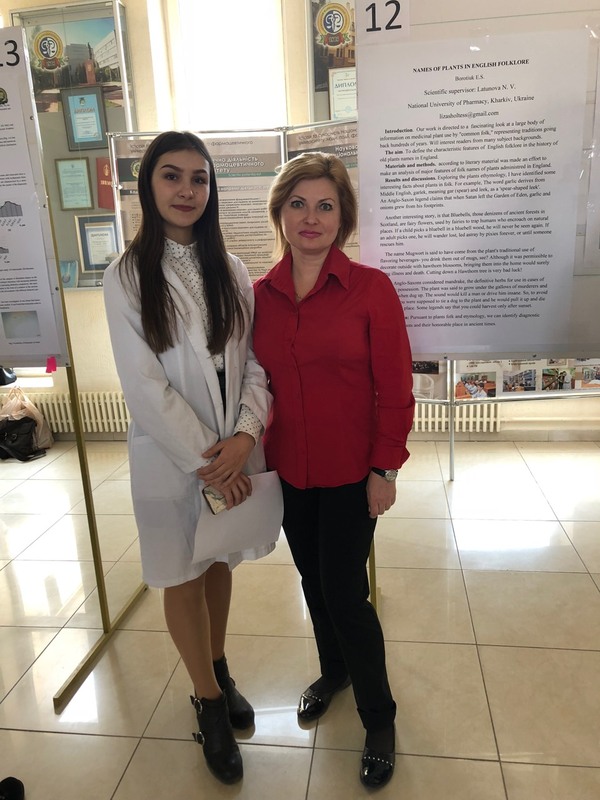 Students took an active part in XXVI International scientific – practical conference of young scientists and students “Topical issues of new Medicines development” which took place on the tenth of April 2019. On the eleventh of March 2019 All – Ukrainian contest of students’ scientific works of speciality “Translation” took place. 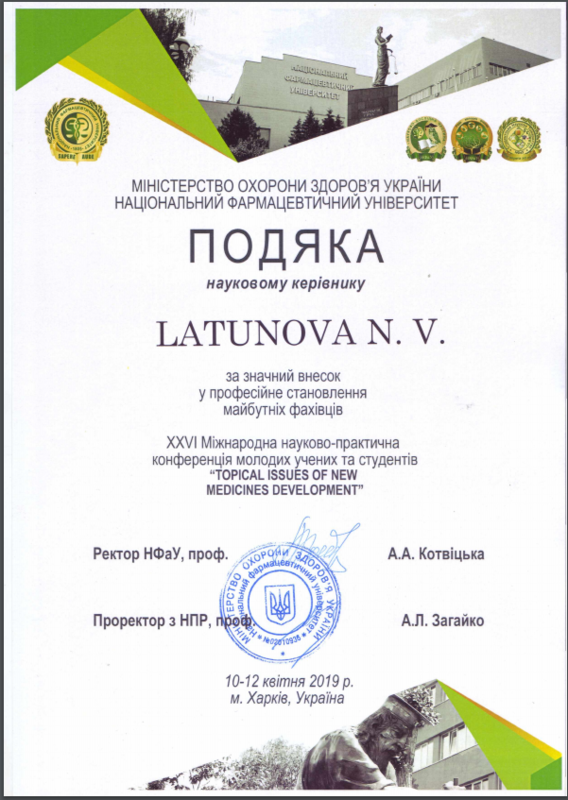 Student: Reus Аrthur Volodimirovich, group Ph12, third year took part in All – Ukrainian contest of students’ scientific works. 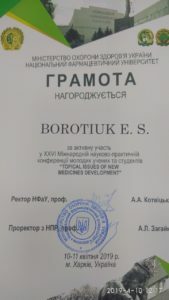 Translation of a scientific work which has the title “Basic problems of translation of chemical and nomenclature names and their decisions. 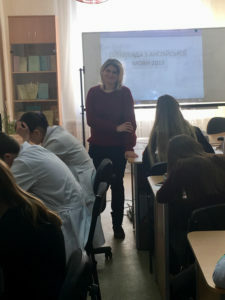 Chemical and pharmaceutical nomenclature” was carried out under the supervision of the scientific advisor – candidate of philological sciences, associate professor Chemodanova M. F.
ENGLISH LANGUAGE SKILLS CONTEST AMONG STUDENTS OF FIRST AND SECOND YEARS OF STUDY WAS HELD ON THE NINETEENTH OF FEBRUARY OF 2019 IN THE COMPUTER CLASS IN DEPARTMENT OF FOREIGN LANGUAGES. SENIOR LECTURER OF DEPARTMENT OF FOREIGN LANGUAGES, SEMENOVA L.V. HELD ENGLISH LANGUAGE SKILLS CONTEST ALONG WITH STUDENTS OF NATIONAL PHARMACEUTICAL UNIVERSITY. 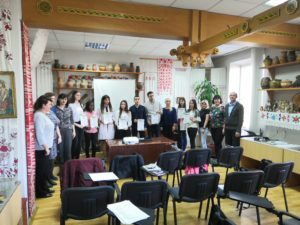 15 STUDENTS OF NATIONAL PHARMACEUTICAL UNIVERSITY TOOK PART IN ENGLISH LANGUAGE SKILLS CONTEST. ENGLISH LANGUAGE SKILLS CONTEST TOOK PLACE FROM 12.05 TO 14.30. 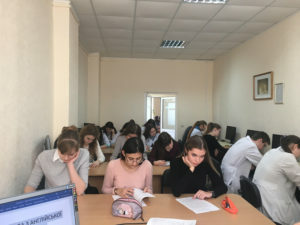 STUDENTS TOOK PART IN WRITTEN FORM OF ENGLISH LANGUAGE SKILLS CONTEST. 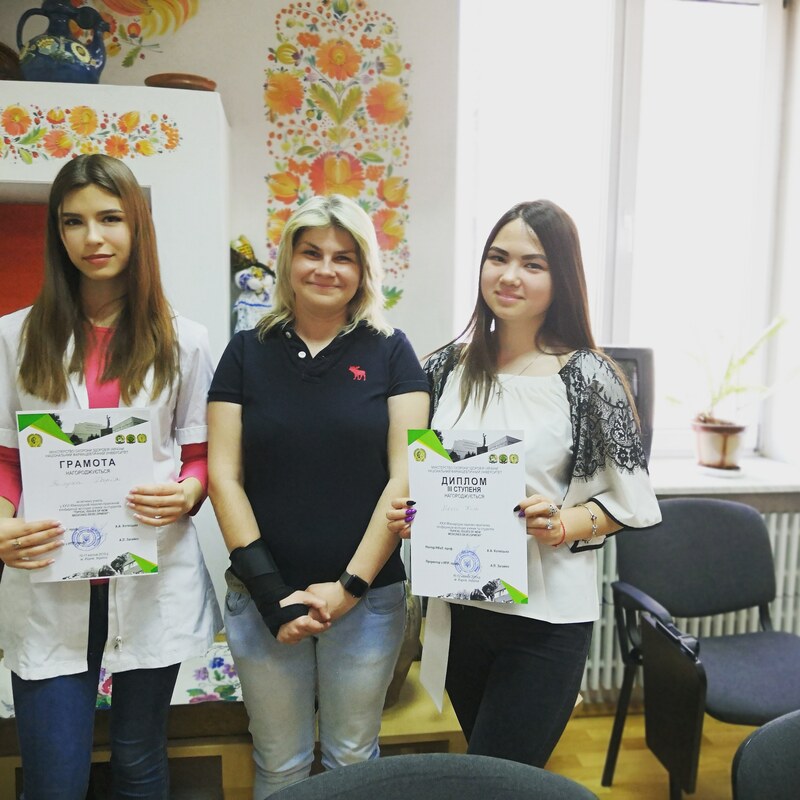 Winners of Іst part of English language skills contest. ENGLISH LANGUAGE SKILLS CONTEST AMONG STUDENTS OF FIRST AND SECOND YEARS  OF STUDY  WAS HELD  ON THE FOURTEENTH OF FEBRUARY OF  2018 IN THE COMPUTER CLASS IN DEPARTMENT OF FOREIGN LANGUAGES. ASSOCIATE PROFESSOR OF DEPARTMENT OF FOREIGN LANGUAGES, CANDIDATE OF PHILOLOGICAL SCIENCES CHEMODANOVA M.F. HELD ENGLISH LANGUAGE SKILLS CONTEST ALONG WITH STUDENTS OF NATIONAL PHARMACEUTICAL UNIVERSITY. 10 STUDENTS OF NATIONAL PHARMACEUTICAL UNIVERSITY TOOK PART IN ENGLISH LANGUAGE SKILLS CONTEST. ENGLISH LANGUAGE SKILLS CONTEST TOOK PLACE FROM  12.05 TO 14.30. STUDENTS TOOK PART IN ORAL FORM OF ENGLISH LANGUAGE SKILLS CONTEST. 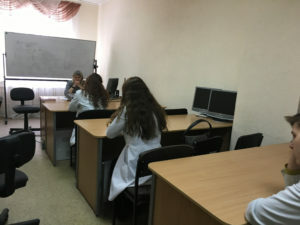 ENGLISH LANGUAGE SKILLS CONTEST AMONG STUDENTS OF FIRST AND SECOND YEARS OF STUDY WAS HELD ON THE SEVENTH OF FEBRUARY OF 2018 IN THE CLASSROOM NUMBER 14 AND COMPUTER CLASS IN DEPARTMENT OF FOREIGN LANGUAGES. 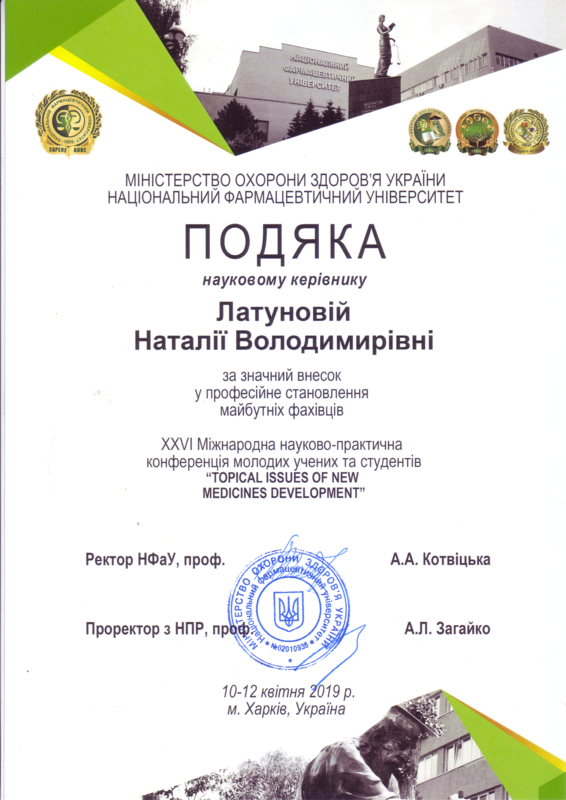 ASSOCIATE PROFESSOR OF DEPARTMENT OF FOREIGN LANGUAGES, CANDIDATE OF PHILOLOGICAL SCIENCES CHEMODANOVA M.F. HELD ENGLISH LANGUAGE SKILLS CONTEST ALONG WITH STUDENTS OF NATIONAL PHARMACEUTICAL UNIVERSITY. 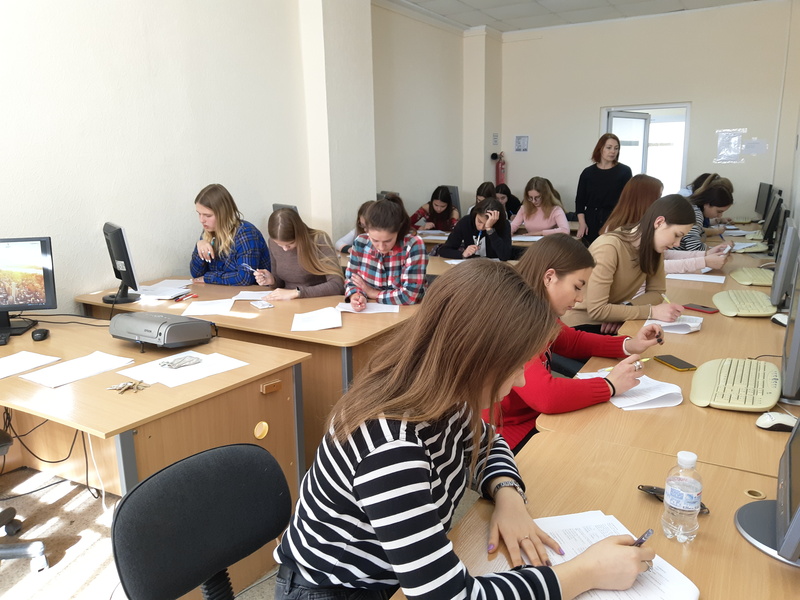 MORE THAN 30 STUDENTS OF NATIONAL PHARMACEUTICAL UNIVERSITY TOOK PART IN ENGLISH LANGUAGE SKILLS CONTEST. ENGLISH LANGUAGE SKILLS CONTEST TOOK PLACE FROM 12.05 TO 14.30. STUDENTS TOOK PART IN WRITTEN FORM OF ENGLISH LANGUAGE SKILLS CONTEST.